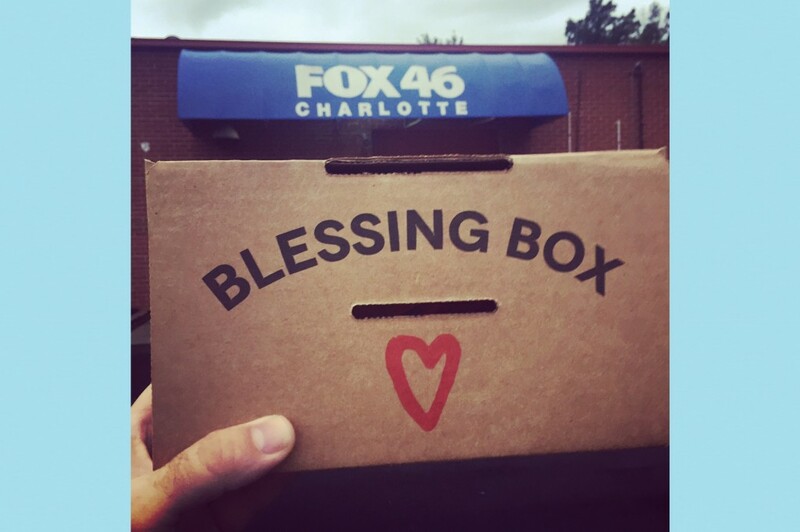 The Blessing Box Campaign was our community engagement effort for 2017. 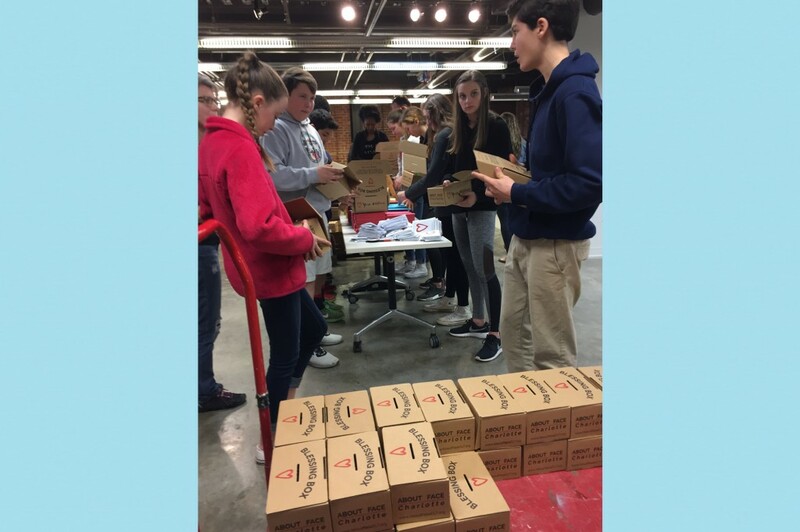 It resulted in over 100,000 acts of conscious kindness and compassion being done by members of our community, ranging from school children to police officers and everything in between. 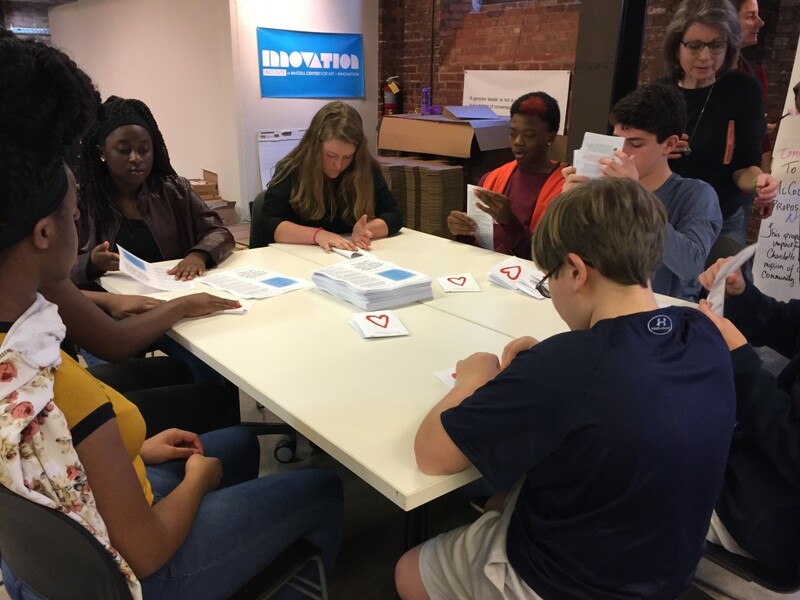 The goal was to provide a fun tool that could be used to cultivate habits of kindness, and create patterns of compassion within individual people. 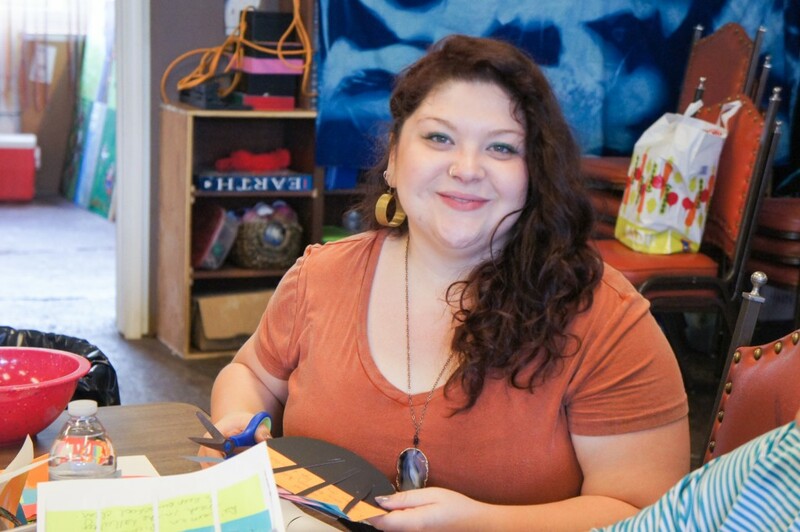 Re-wire the brain, re-wire the community so that kindness is the default rather than the exception. Read through the information below to learn more about this project. 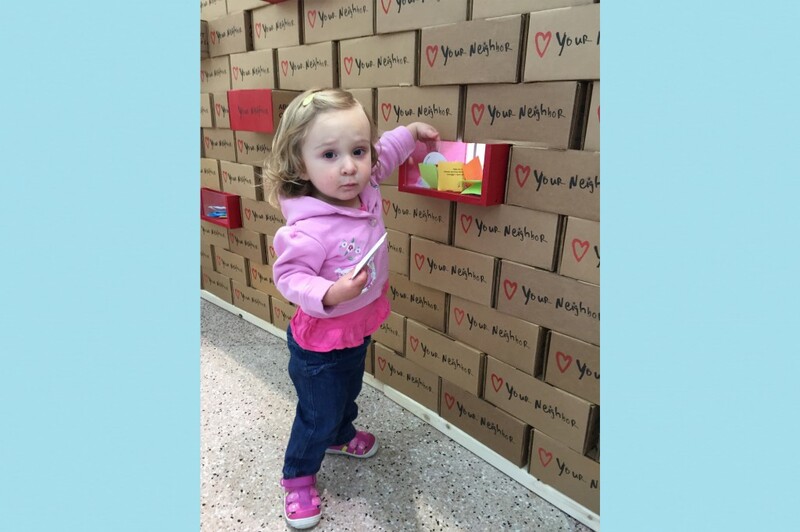 2,500 Blessing Boxes were distributed throughout our community. 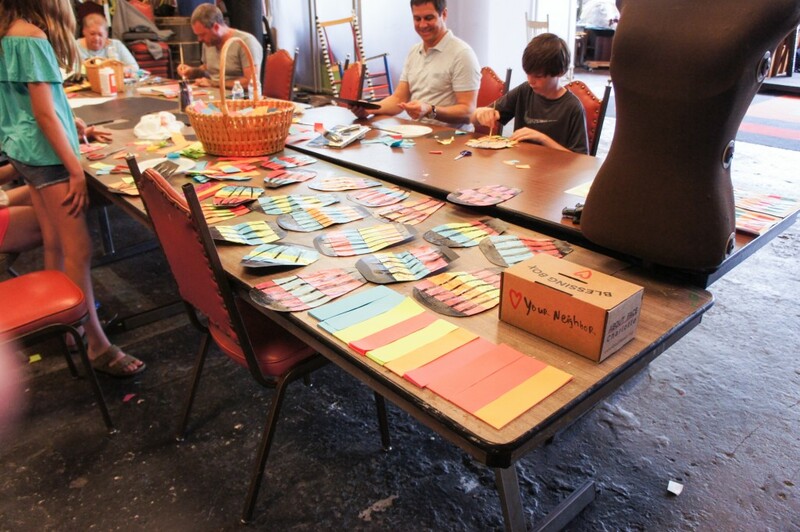 Each box contained 100 colored strips of paper and a Giving Guide. 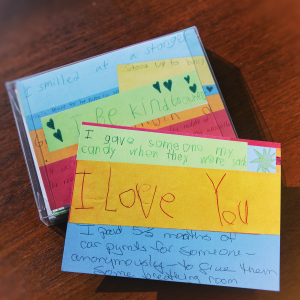 Participants were encouraged to do acts of conscious kindness, then write them down on one of the strips of paper and place it inside the Blessing Box. 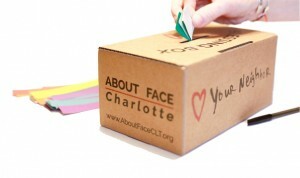 Once all 100 Acts of Kindness were complete, the box was returned to AboutFace CLT. 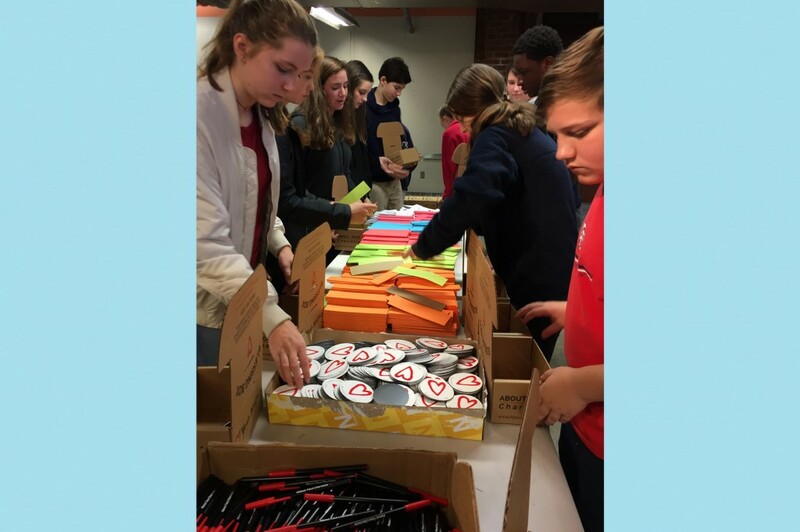 We had a wide range of people and organizations that signed up to participate, including the CMS school system, universities, the government center, the police department, places of worship across the faith spectrum, small businesses, families and individuals. 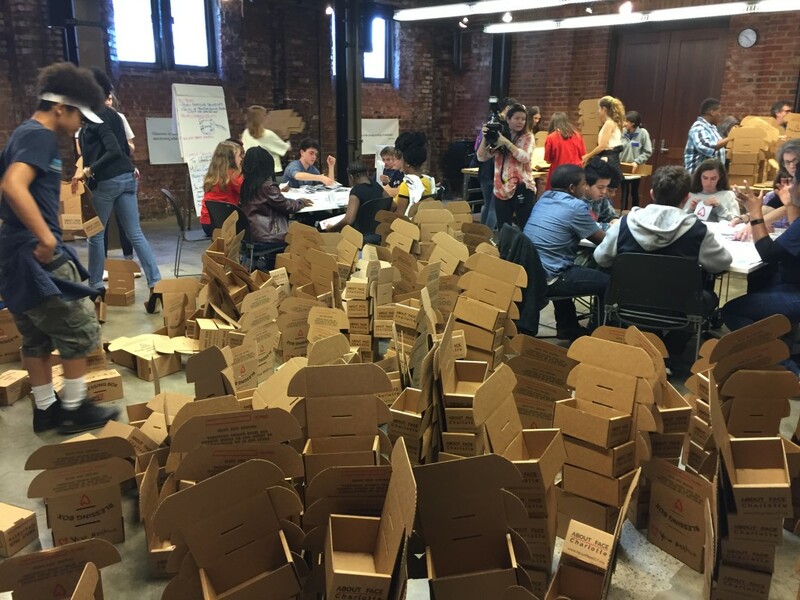 By encouraging 100 conscious Acts of Kindness we hoped to help people develop habits of compassion. 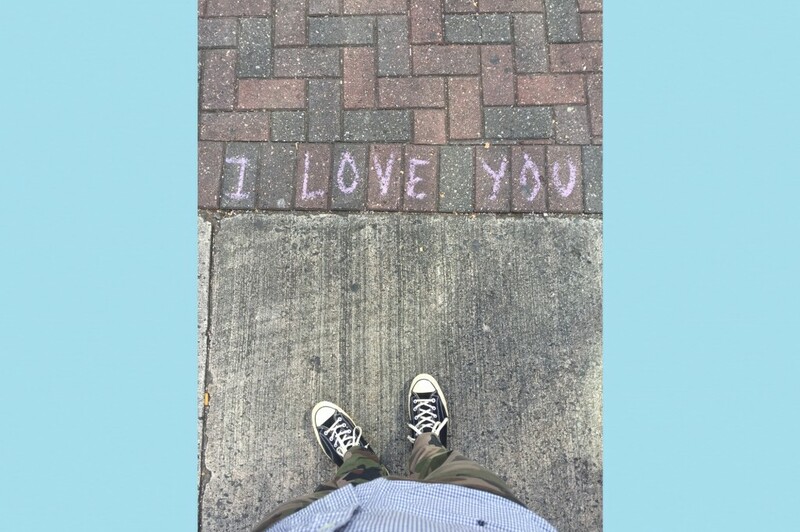 To shift their attention away from being buried in their smartphones to actually seeing those around them, and to be constantly looking for ways to help. 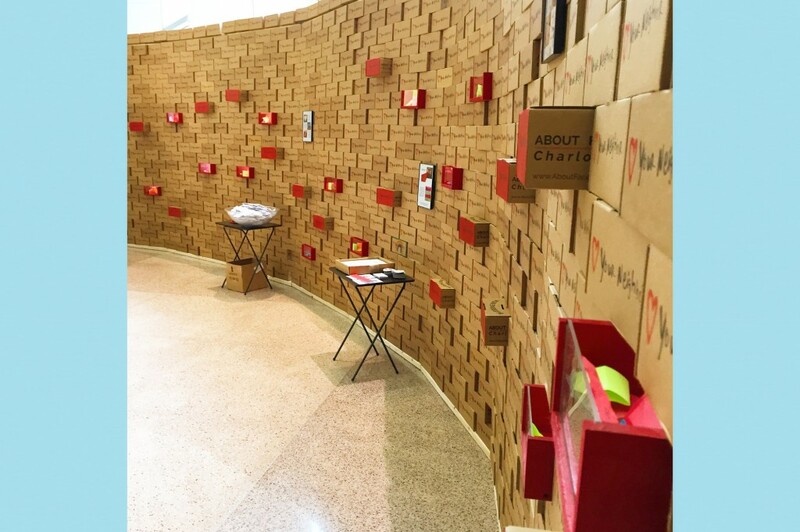 Once the boxes were returned they were interconnected to build Charlotte’s Wall of Compassion, a 60′ x 9′ wall literally built from Acts of Kindness and Compassion. 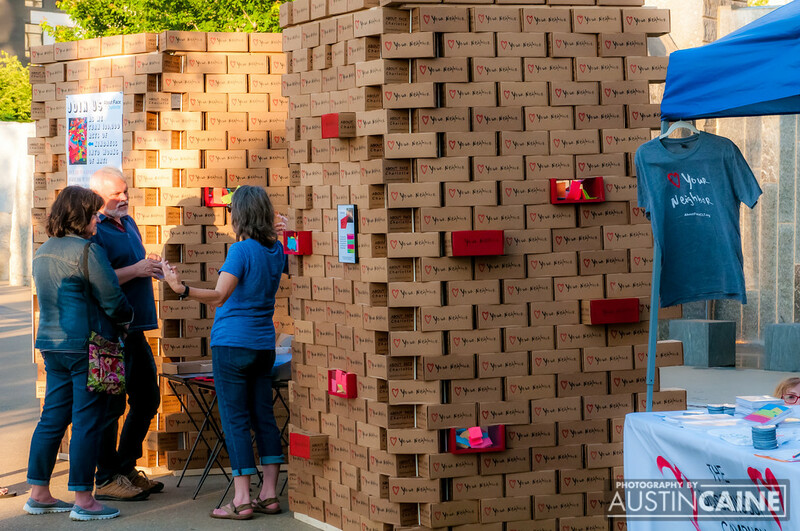 The wall included removable boxes filled with the strips of paper with Acts of Kindness written on them for people to read. 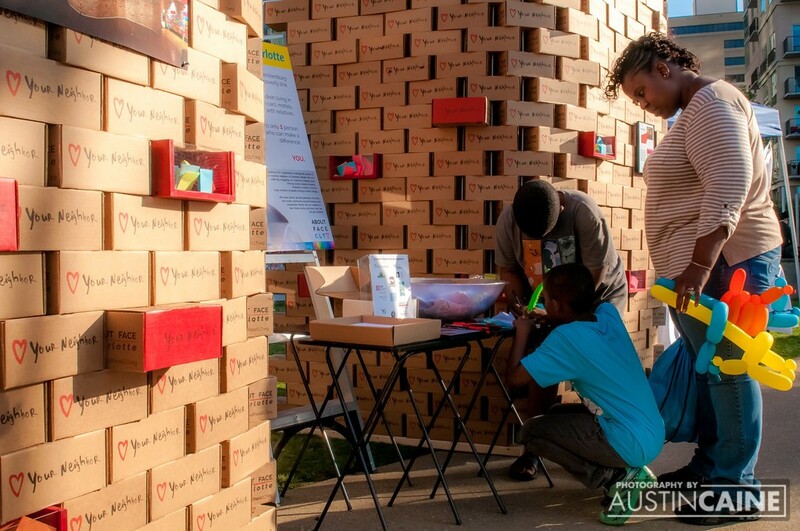 It also included plexiglass Blessing Boxes where people could continue to add to the Wall. 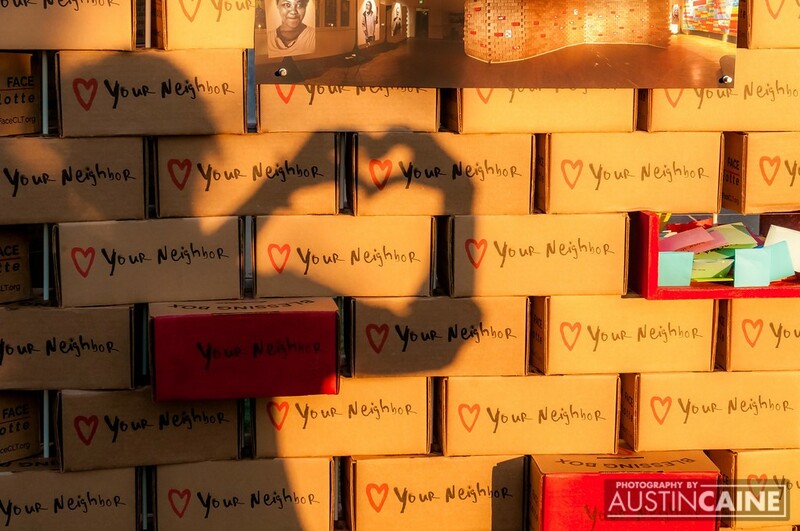 Origami hearts were available at each installation. 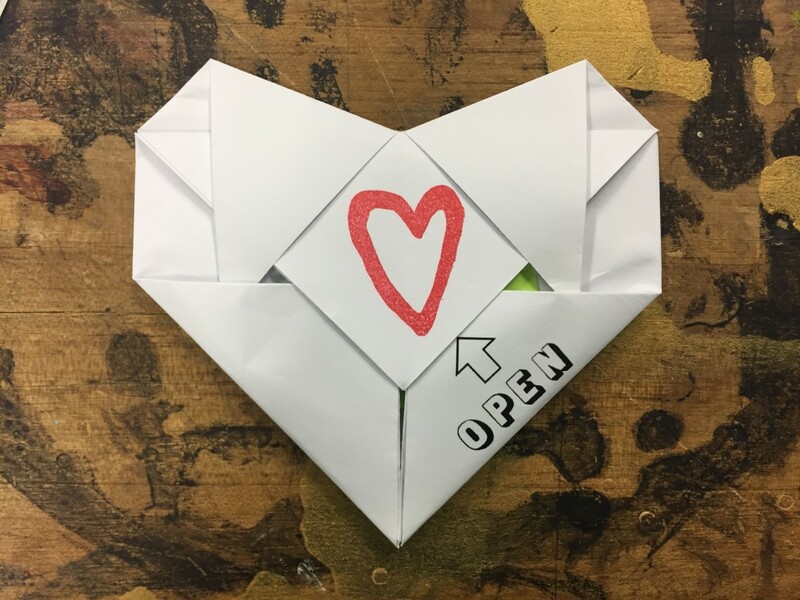 When the origami heart was opened, there was a strip of paper inside with instructions to write down a future Act of Kindness and add it to the wall. This way the wall reached both forward and backwards in time. 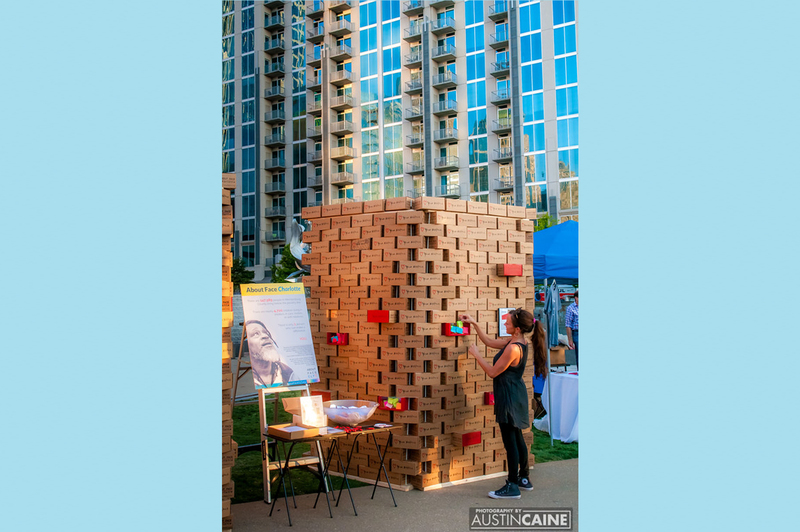 *The structure of the wall was designed by two architects from AIA Charlotte who generously donated their time, Liz Richardson and David Tobin. 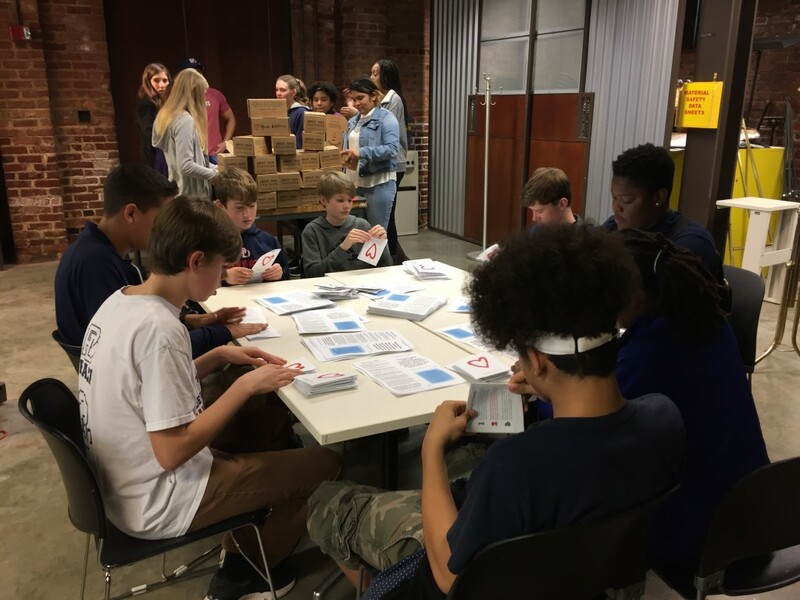 All the strips of paper were removed from the boxes and teams of volunteers read each and every one of the more than 100,000 acts of conscious kindness that were done as part of this project. 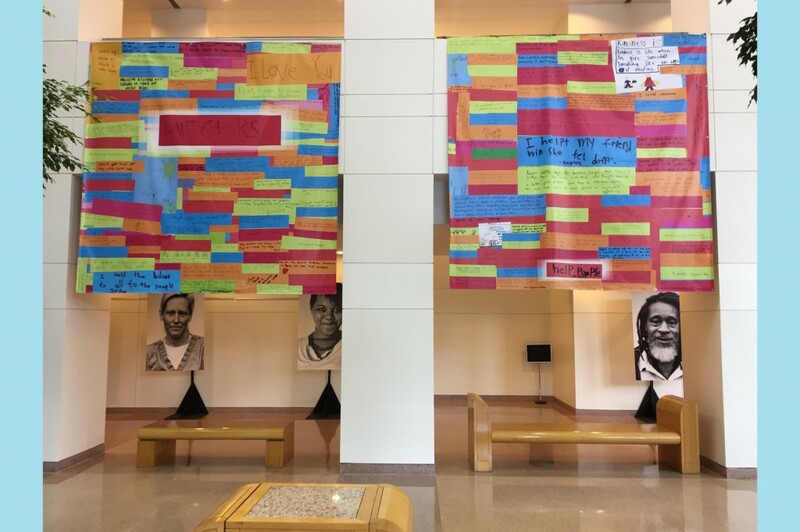 The strips were curated by the volunteers and the favorites were made into two 10′ x 10′ banners to be displayed with the wall. Additionally the strips were made into greeting cards and a forthcoming coffee table book. 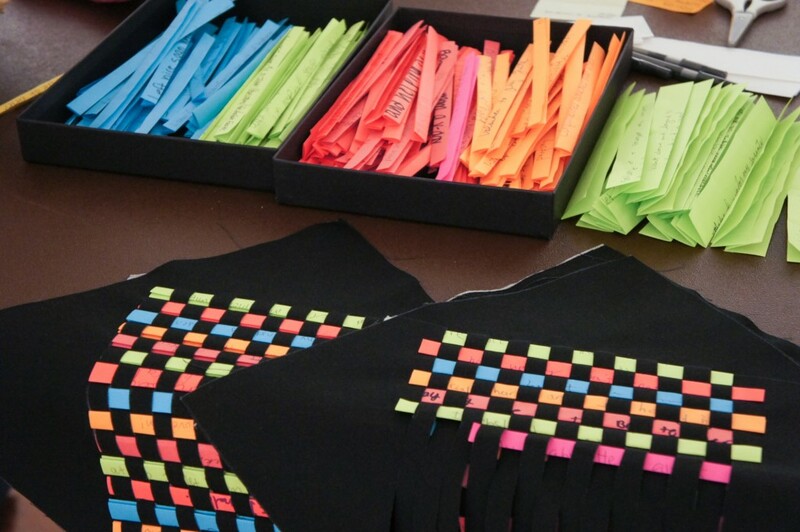 Reading the strips of paper is a profound experience. It’s uplifting and hopeful and shows you the unbelievable amount of good that lies within us. It’s like snuggling up in a big old blanket of kindness. The greeting cards are available in our store, and you can sign up for our newsletter to be notified when the book is complete. 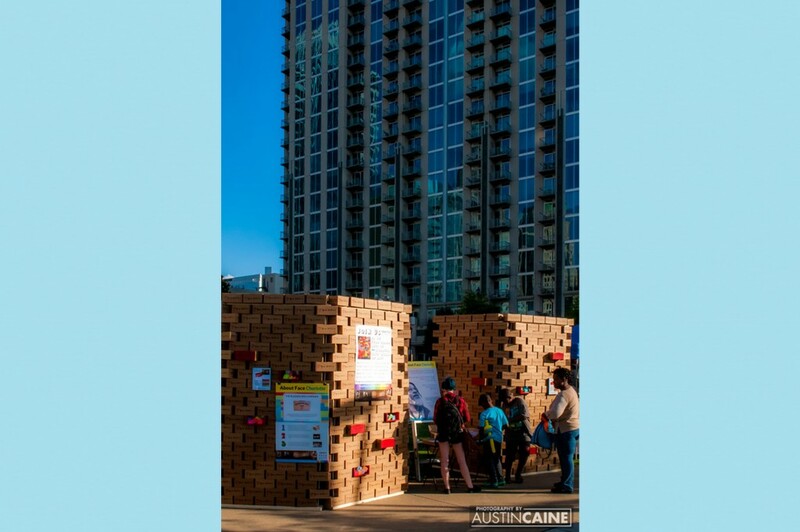 The Wall of Compassion, the curated Acts of Kindness, and some of the stories shared by neighbors were then displayed for the public to come visit and interact with in several locations. 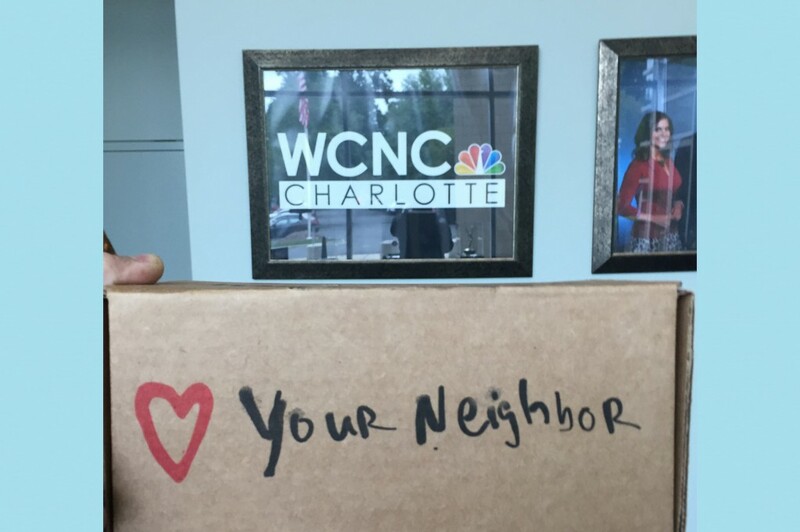 Locations included the Vision Awards, the historic Grace AME Zion Church, the Government Center building, and in Romare Bearden Park with the Charlotte Symphony. 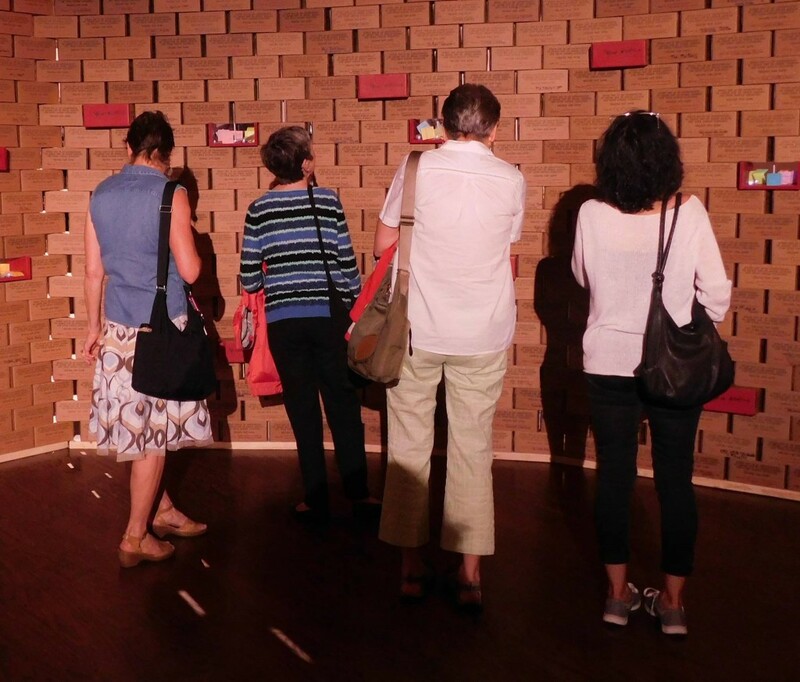 Between the 4 locations the installation was viewed by over 5,000 people. 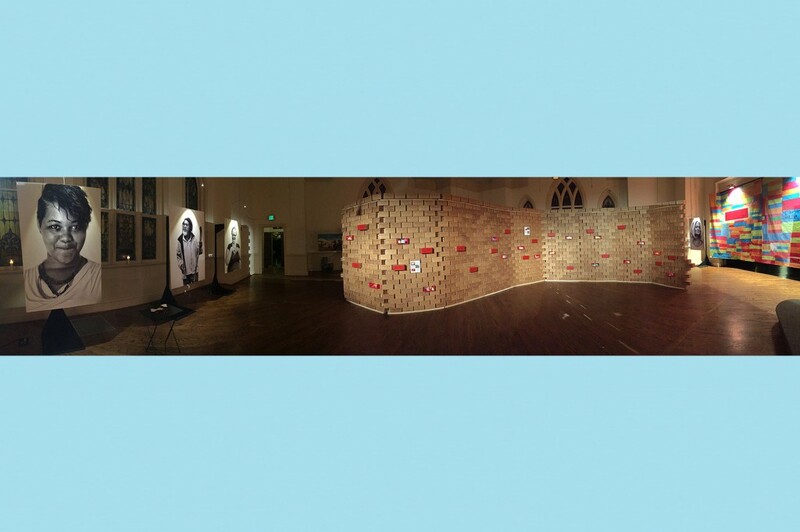 You can see details and photographs of the various installations at the bottom of this page. 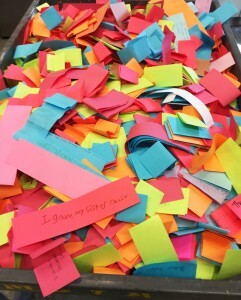 The final stage of the Blessing Box Campaign was Creating from Kindness. 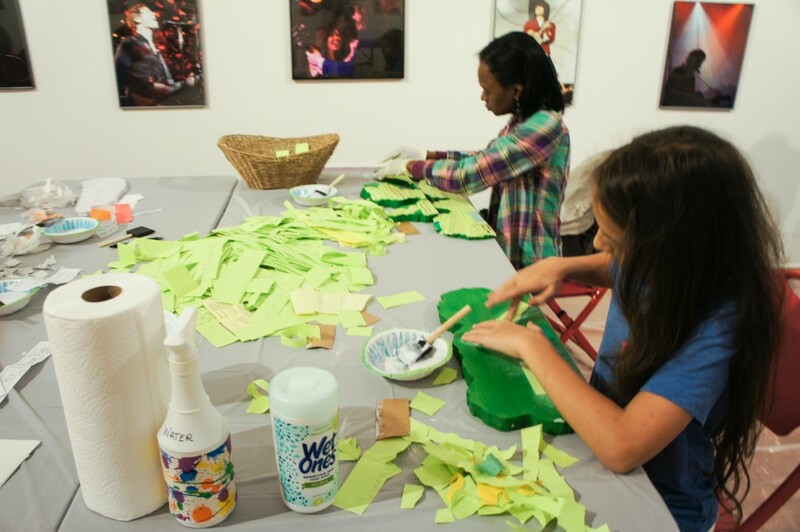 This portion of the project enlisted several local artists to lead community art-making workshops using the colored strips of paper that the acts of kindness had been written on as material. 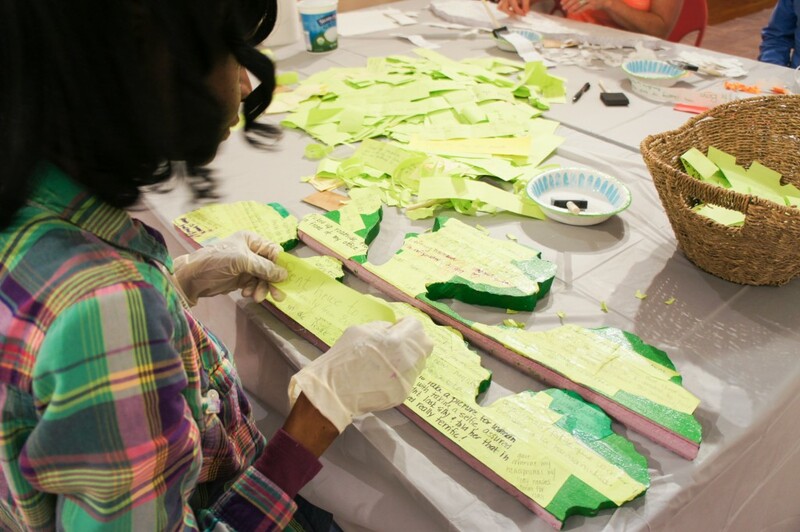 These workshops were led at Spirit Square, Behailu Academy, Charlotte Art League, and NoDa + 28th Creative. 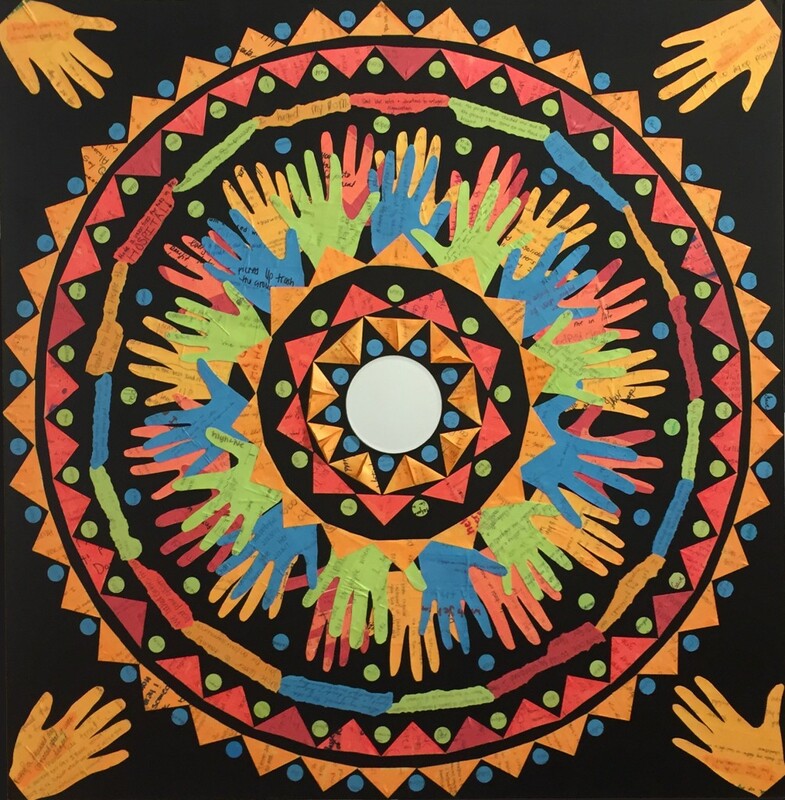 People from all corners of the community came together to make large scale works of art from Acts of Kindness and Compassion. The resulting works of art were then displayed at Spirit Square in the Knight Gallery for 2 months. Photographs and descriptions of these incredible works of art can be seen here. 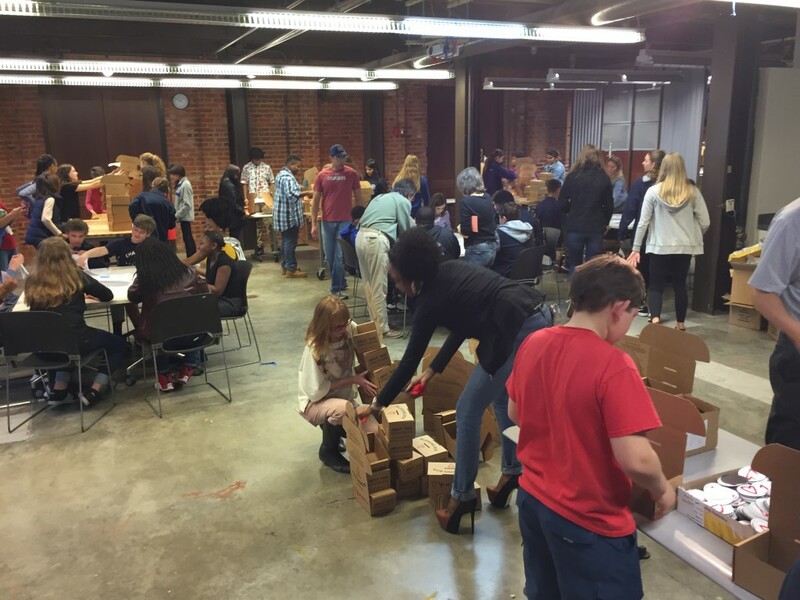 To assemble all the Blessing Boxes we enlisted the help of the Leadership Academy students from Bruns Academy and Providence Day School. 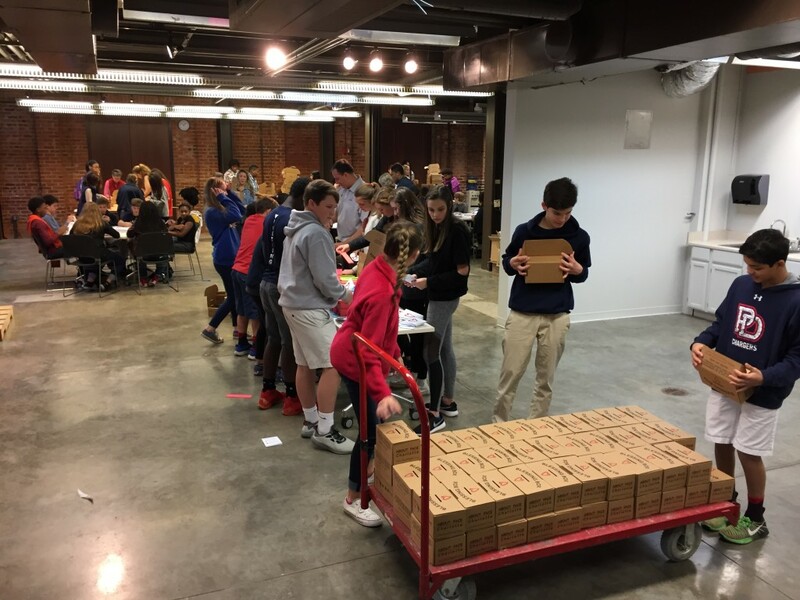 The Leadership Academy is an innovative program that focuses on collaborative experiences between Bruns Academy (A title 1 school) and Providence Day School (an exclusive private school). 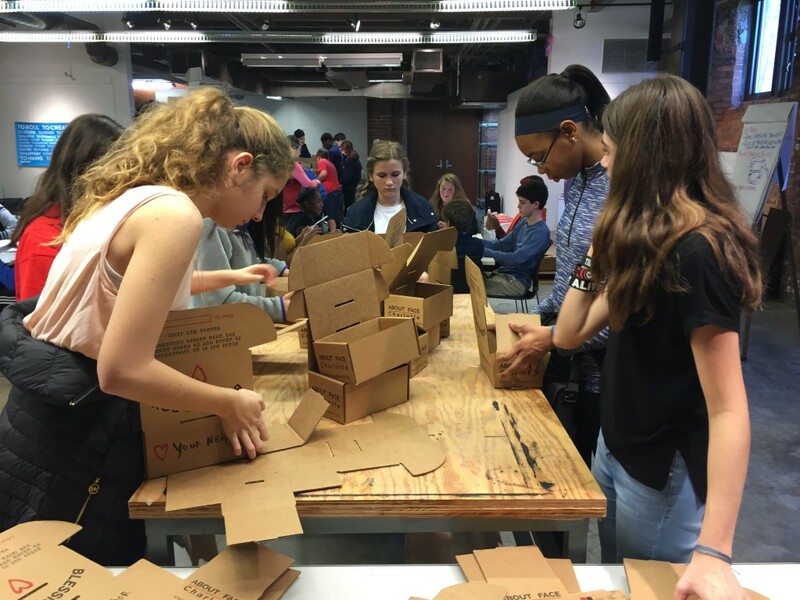 We invited these students to come join us at the McColl Center for Art + Innovation for an afternoon of fun and box assembly! They were awesome. 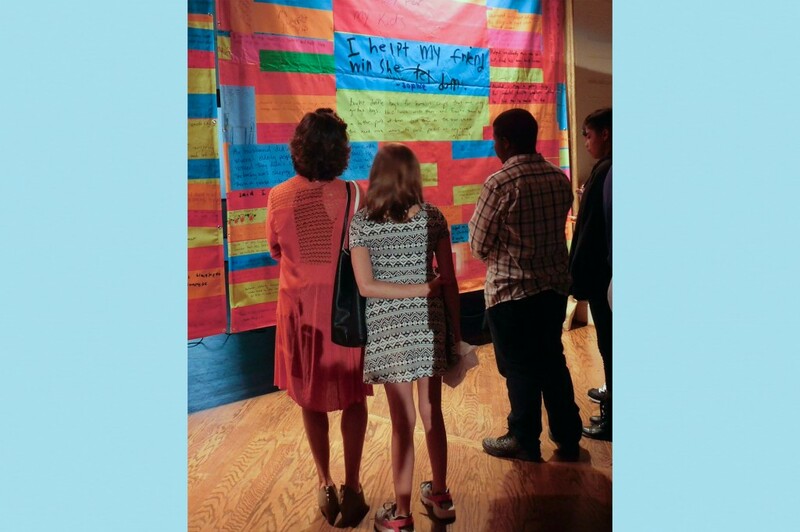 In partnership with Charlotte Center City Partners we presented the Wall of Compassion to the attendees at the 2017 VISION Awards. 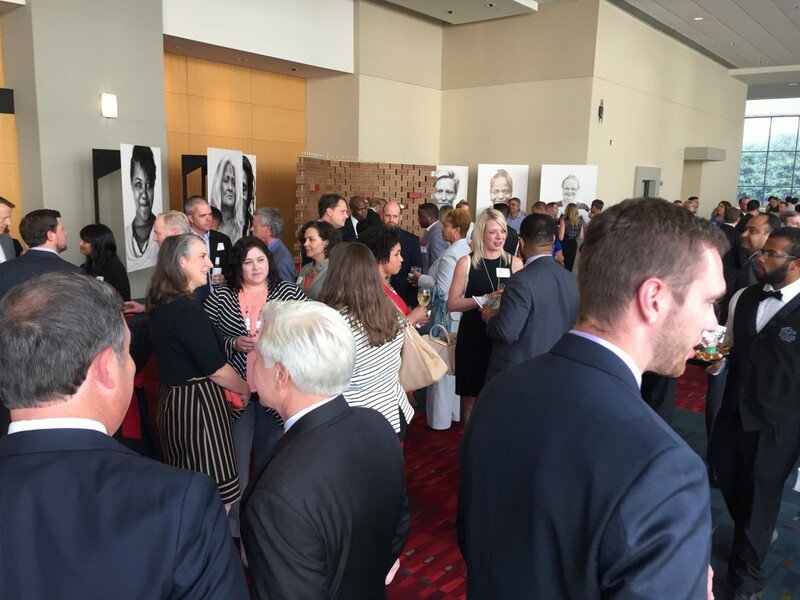 This event honors the people in our community who are helping grow Charlotte into a dynamic modern city. We are grateful to have the opportunity to share this project with the “movers and shakers” who can really lead the city in a compassionate direction. 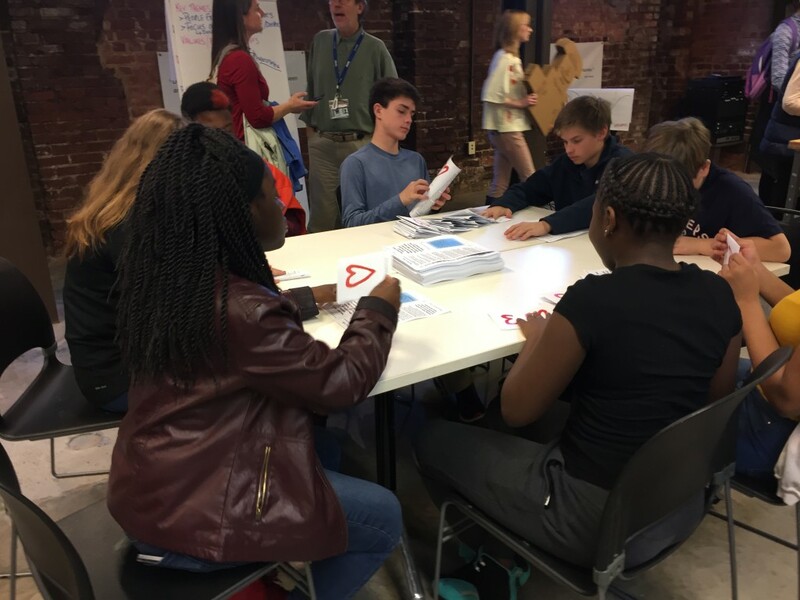 In addition to the Wall and the stories, we also included an interactive portion where each attendee received an origami heart. 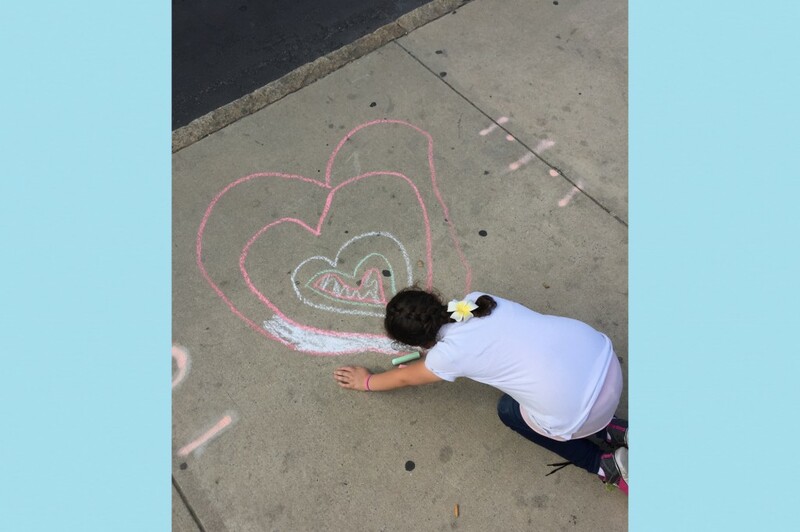 This heart opened to reveal a slip of paper and instructions to write a future and intentional act of kindness to be done, and place it into the wall in one of the open plexiglass Blessing Boxes. 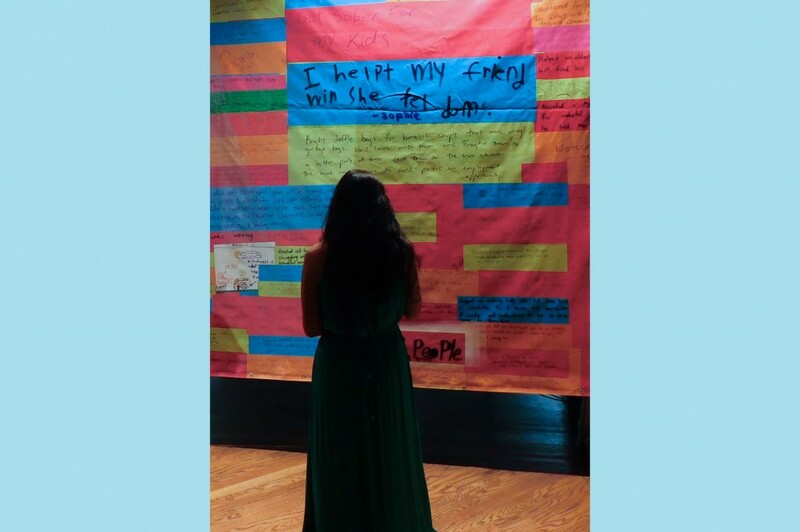 This allowed the Wall of Compassion to be interactive and extend both forward and backwards into time. 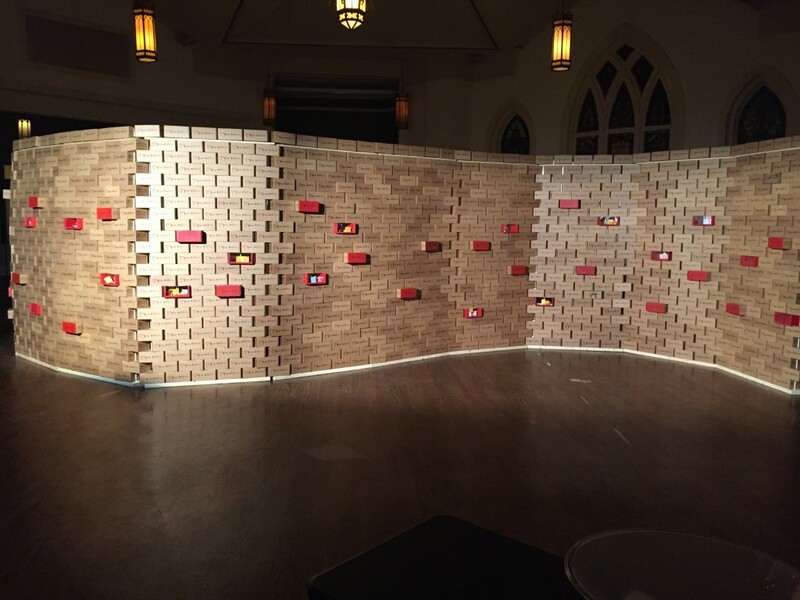 This installation was our longest running, and took place in the historic Grace AME Zion Church building in uptown Charlotte. Grace Church was the first African American church in Charlotte, designed and built by the congregation in 1895. 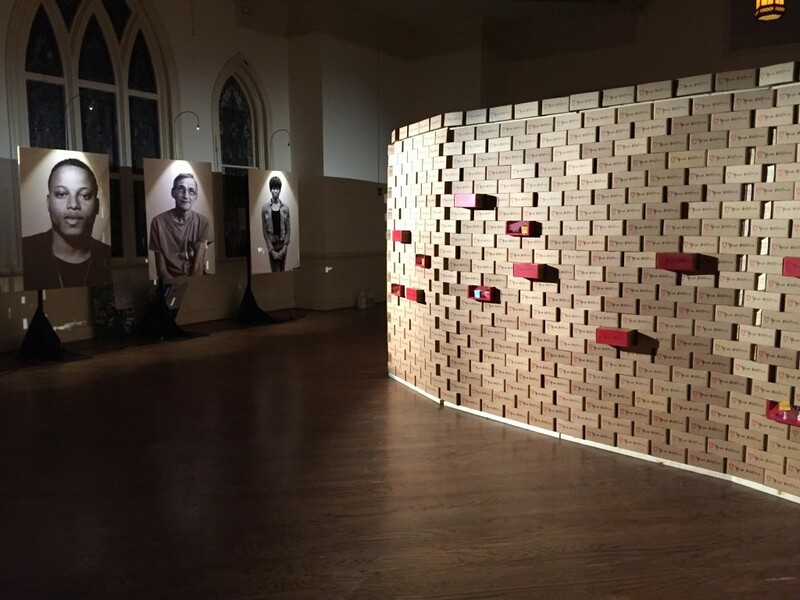 No longer a church, the space is used to host cultural events that seek to improve the social fabric of the city. 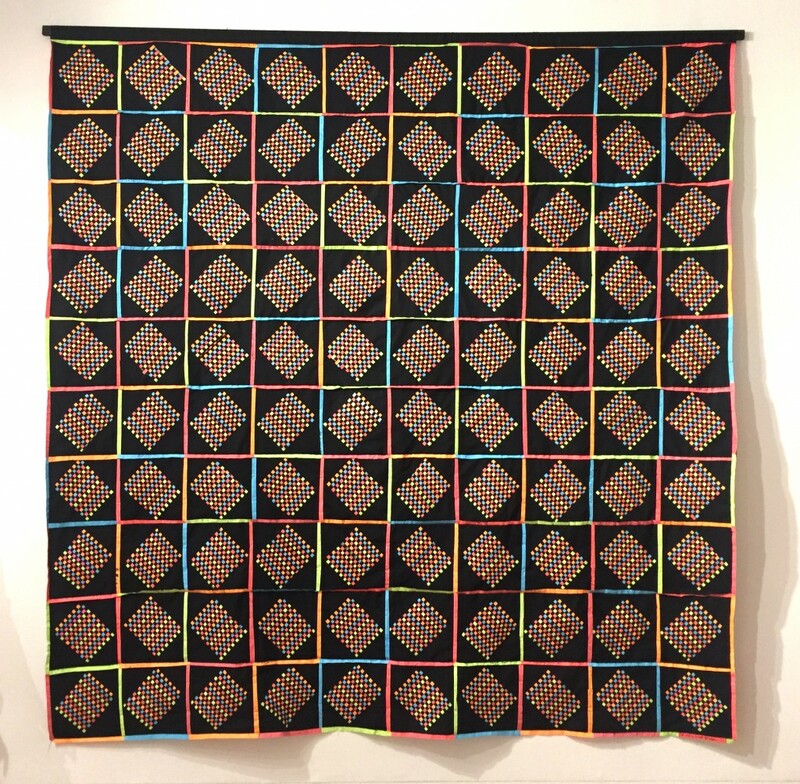 Opening night of this event coincided with the Uptown Gallery Crawl, and was a stop on the trolley line taking people to the museums and uptown galleries. 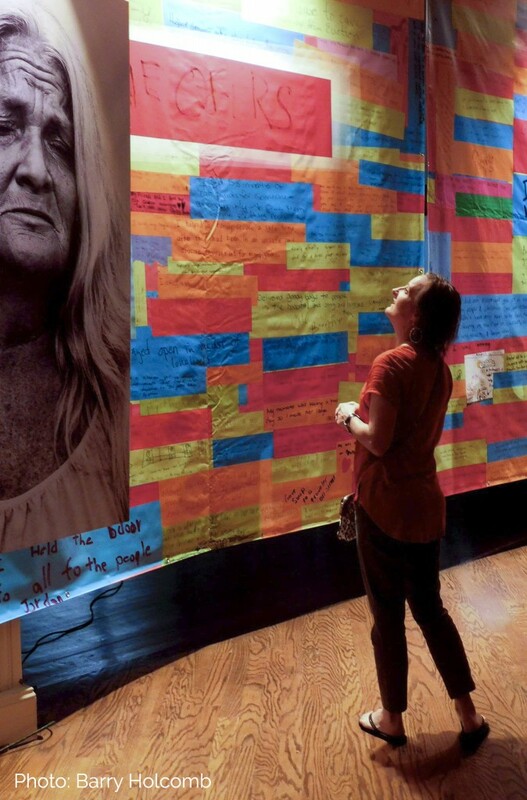 The installation included the Wall of Compassion, the blessing banners, and portraits and stories from some of the people we had profiled throughout the year. 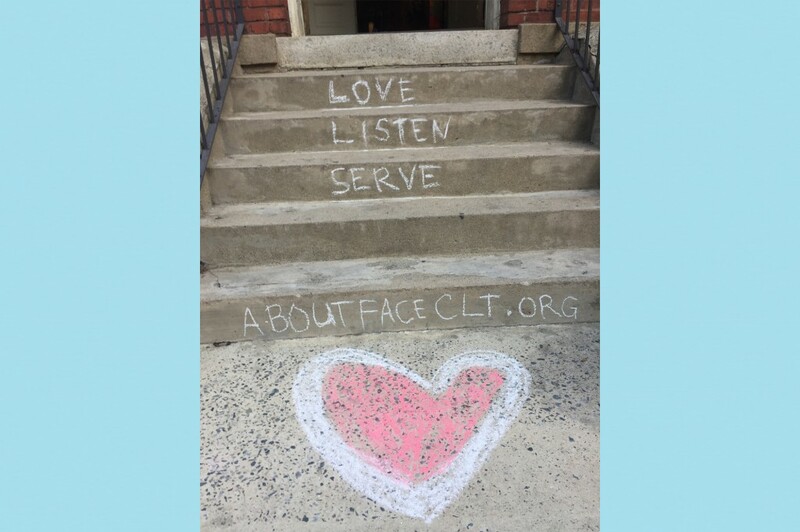 It also included a participatory chalk art project on the sidewalk outside. 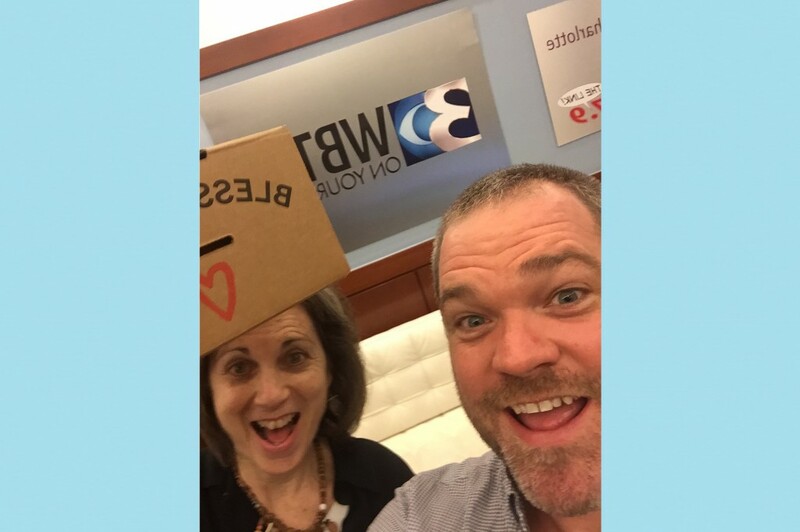 This event was covered by all 3 local news networks. 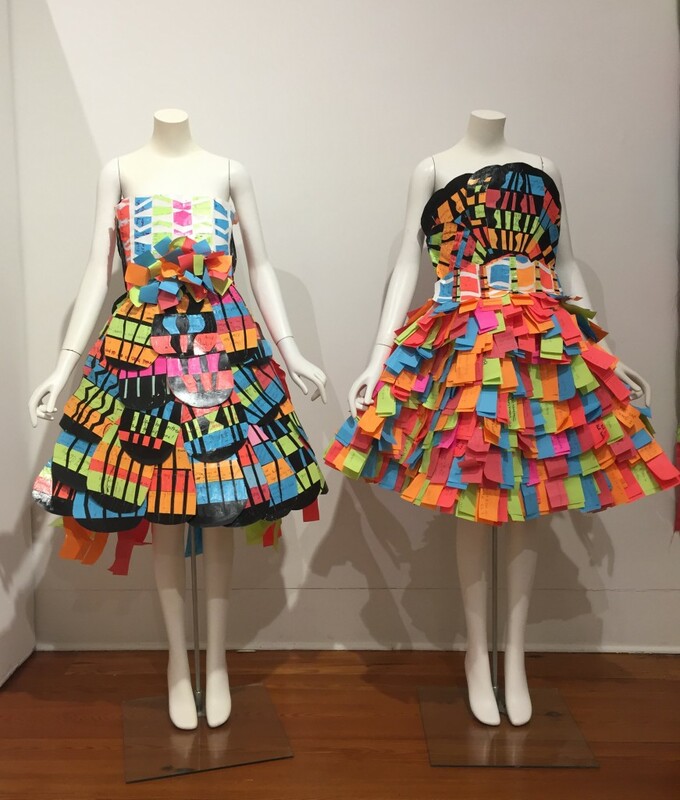 This installation was in the lobby of Charlotte’s City Government building. 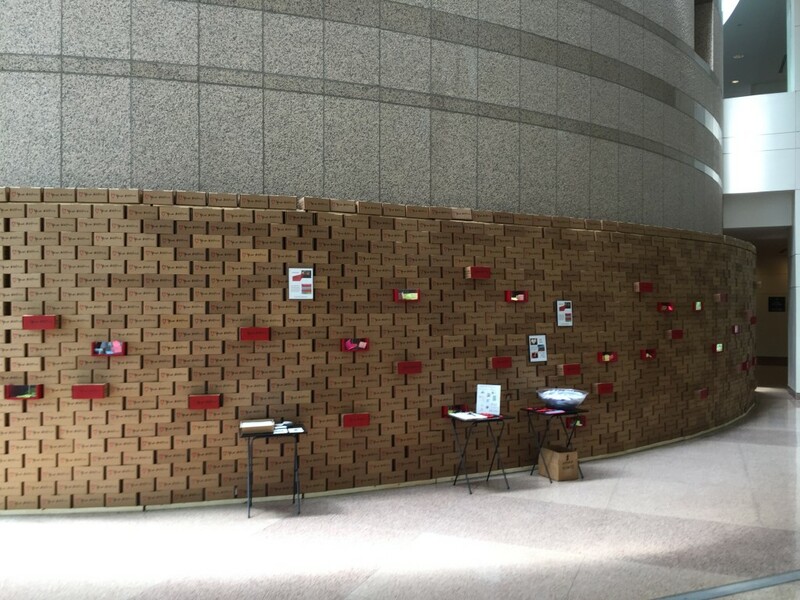 The Wall was installed directly next to the entrance of the city council chamber, and was up for one month, including during the contentious school assignment hearings. 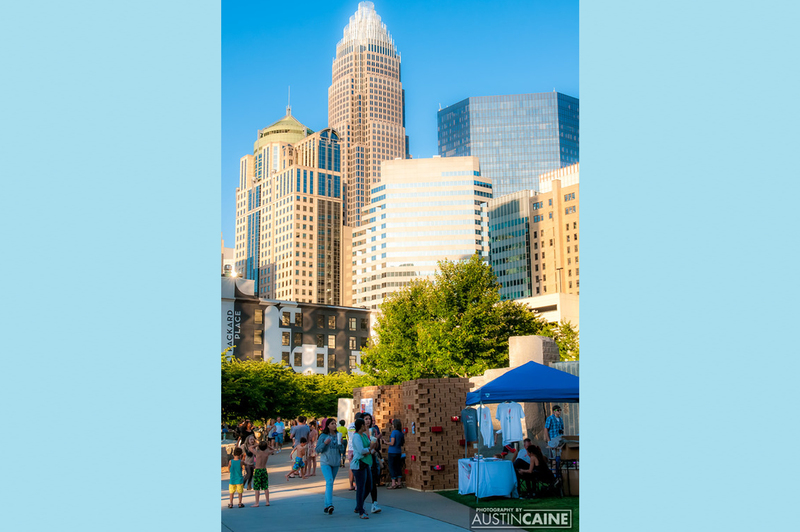 We were invited to install the Wall in Romare Bearden Park for the Uptown Pops concert with the Charlotte Symphony. 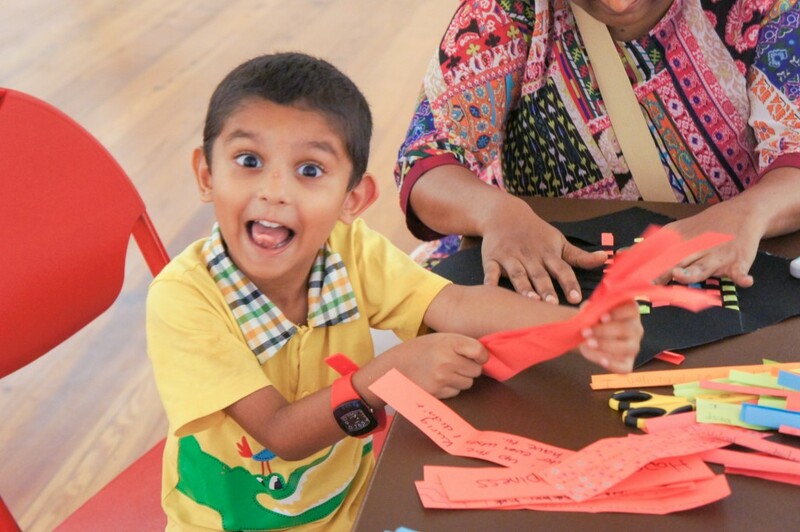 We held 4 different art workshops across the city where local artists lead the community in making works of art using the Acts of Kindness as a base material. 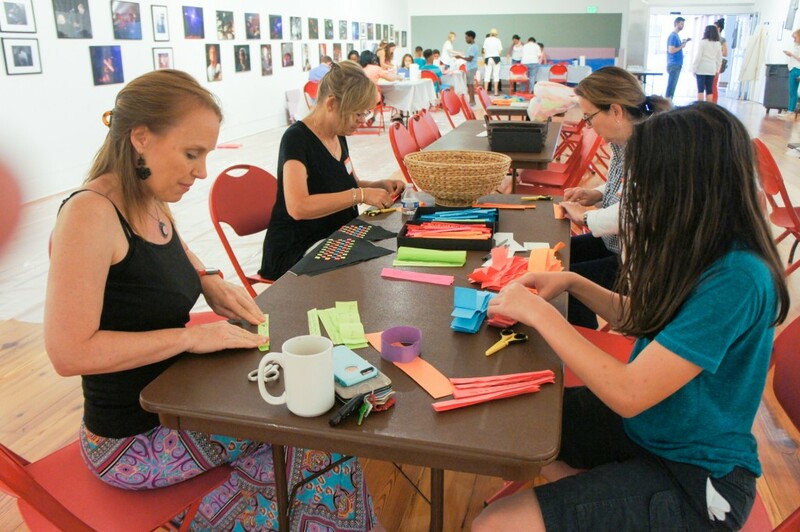 These events were held in the Knight Gallery @ Spirit Square, the Behailu Academy, Charlotte Art League, and NoDa + 28th Creative Studio. 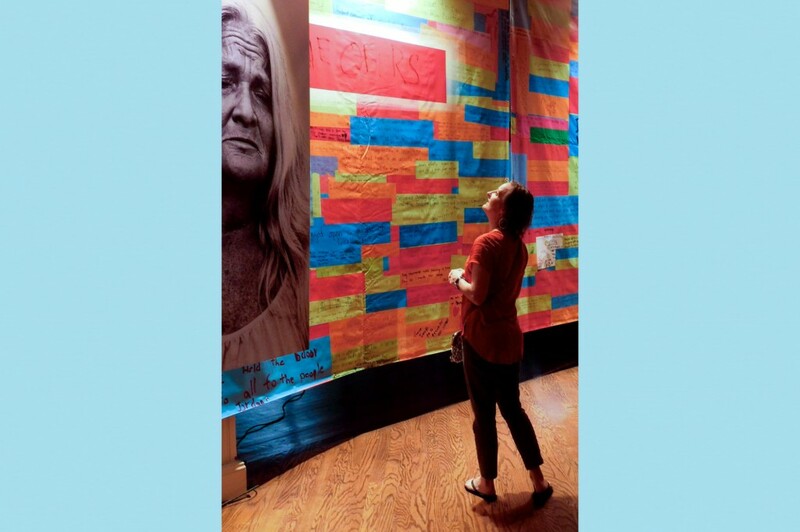 Individuals and families from across the city took part in making these works of art. 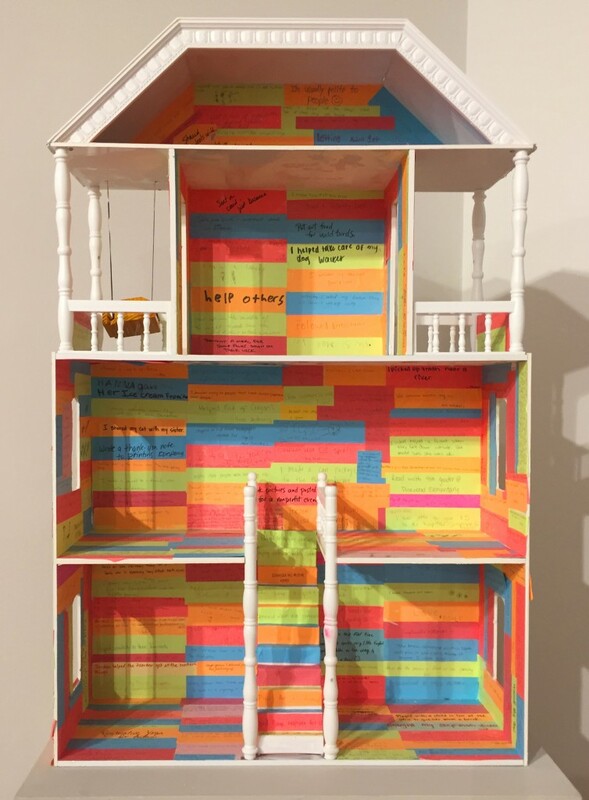 This installation highlighted the works of created from the strips of paper from the Blessing Boxes. 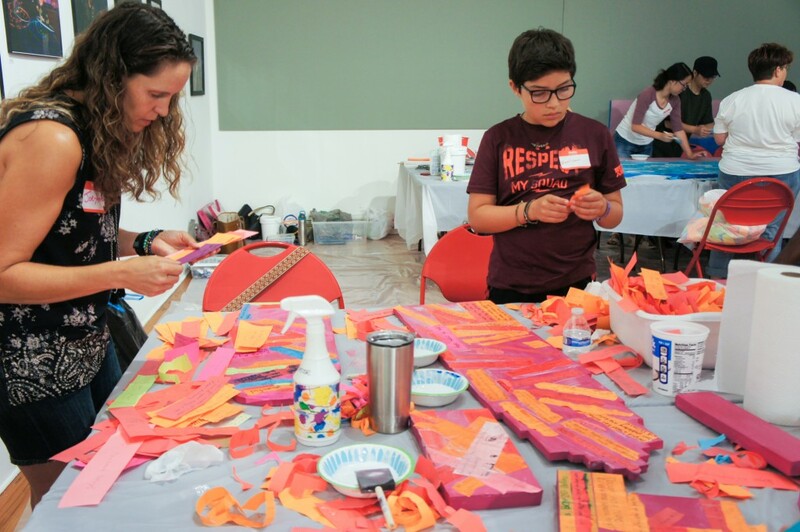 6 different large scale works of art were created during 4 different workshops led by local artists. 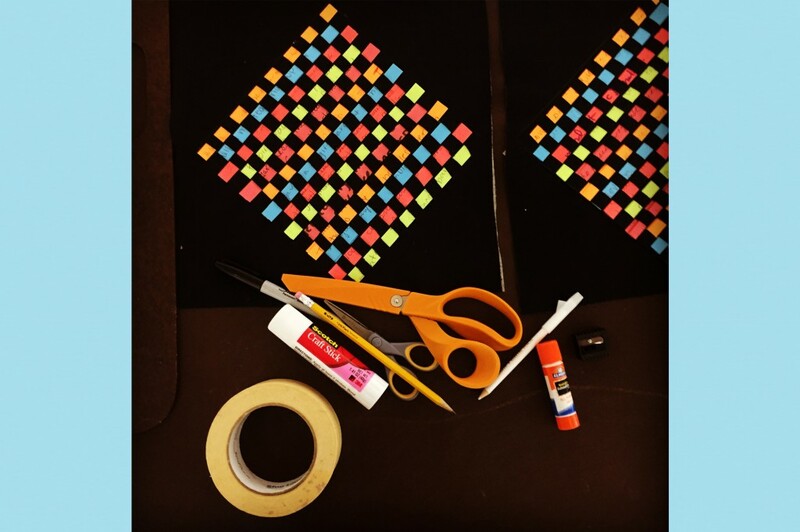 Learn more about the Art!